Online ordering menu for STARR BROTHERS BREWING Co. 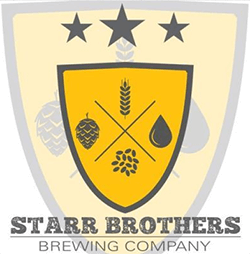 Welcome to Starr Brothers Brewing! We are a local brewery that serves meticulously crafted beer and gourmet offerings all fresh and all local.? We serve all types of soups and salads including Green Chile Stew, Soup du Jour, and Spinach & Arugula. You don't want to miss trying our Chicken Club or Patty Melt sandwich. Our delectable entrees include Seared Beef Short Rib, Shrimp & Grits, and Grilled Salmon, among many other choices! Find us east of I-25 on San Antonio Dr. We're minutes away from Far North Shopping Center and Bear Canyon. Order online for carryout!